We’ve been meaning to share this recipe with you for a long time. I grew up calling this “Mom’s Fudge,” but maybe it’s an older family recipe? Mom, please weigh in on this…. We made a ton of this fudge around Christmas time, and enjoyed giving it to friends…and keeping it in the fridge for munching all season, too! This fudge makes a great “thinking of you” gift, or a fun thing to bring to a party. 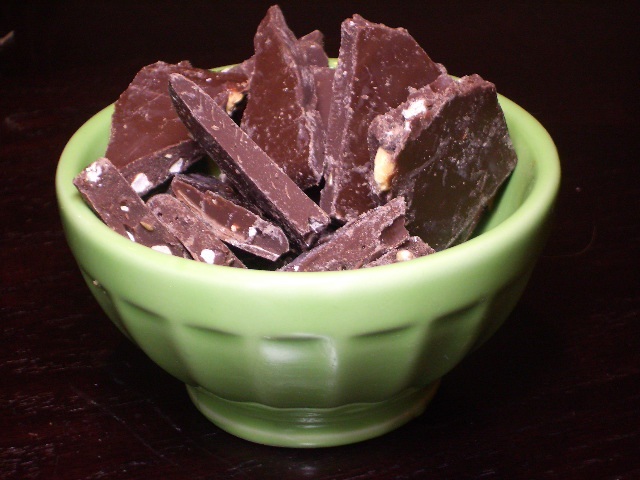 The original recipe is for Peanut Butter Fudge and uses 1 cup of crunchy peanut butter…but Mom usually spices things up a bit and makes a few different batches – some with Heath Bar pieces, some with peppermint, etc etc. This is a versatile recipe that you can really have fun with. That looks absolutely delicious. I would love to have the whole bowl in my hand! I love peanut butter. This has to be my favourite. Will have to give this a try.